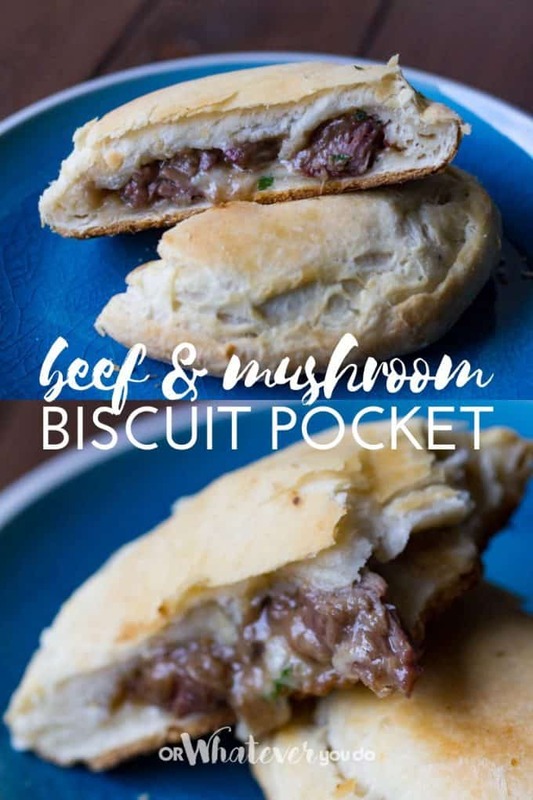 Serve up these hearty Beef and Mushroom Biscuit Pockets hand-held biscuit pockets that are stuffed with steak, mushrooms, and cheese, and toss on your Traeger (or in your oven!) for a savory weeknight dinner. This recipe is a perfect way to use up any leftover roast or steak you have on hand. 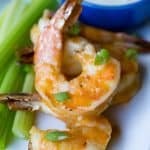 A quick and easy weeknight recipe! If you have leftover steak or even roast, this is a tasty recipe to serve up. 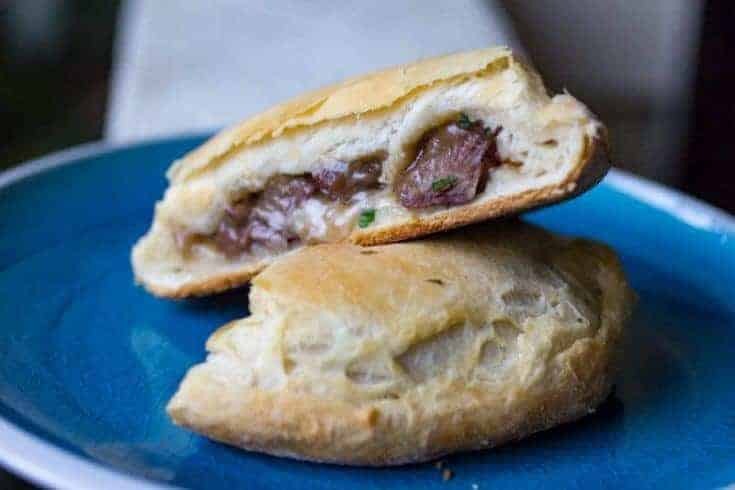 Just grab some canned biscuits from the store, and with your leftover steak or roast you can create the perfect beef hand pies that the whole family can enjoy. 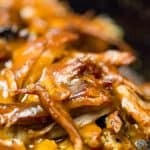 You have tender bits of beef in each bite, mushrooms, with a handful of cheese for added flavor. Serve these up and watch the whole family gobble them up. Roasts are something our store does a “buy one get one free” sale pretty often. We are always buying roasts when the deal happens, and we stock up and then toss them in the freezer for later. It is a great way to maximize how much you are spending on your protein. We can stretch one roast to make 2-3 meals, so when you take advantage of a good sale it saves on the budget. 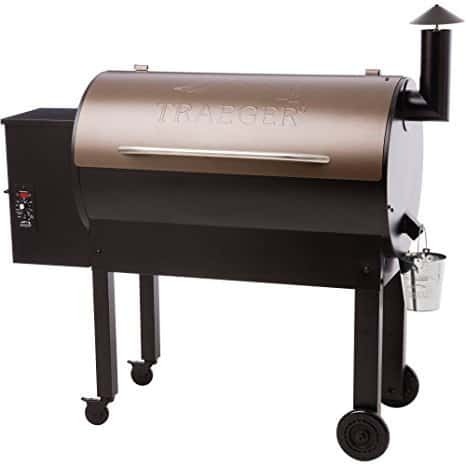 Get More Traeger Recipes Here! 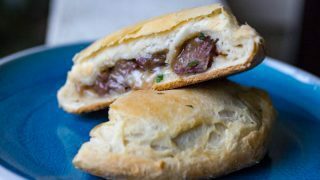 The beef and mushroom pockets remind me a little of a beef wellington, but a whole lot easier to make. The differences are you are using a biscuit instead of a puff pastry, and there are no shallots (or liver) in this recipe, but you could always add them in if you would prefer. 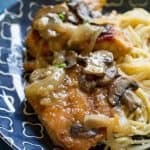 Our whole family loves these, and they are the perfect way to use up leftovers and create an easy weeknight meal for us. I love cooking on our Traeger grill for so many reasons. It doesn’t heat the house, offers a nice element of smoke flavor, and it is simple to use. 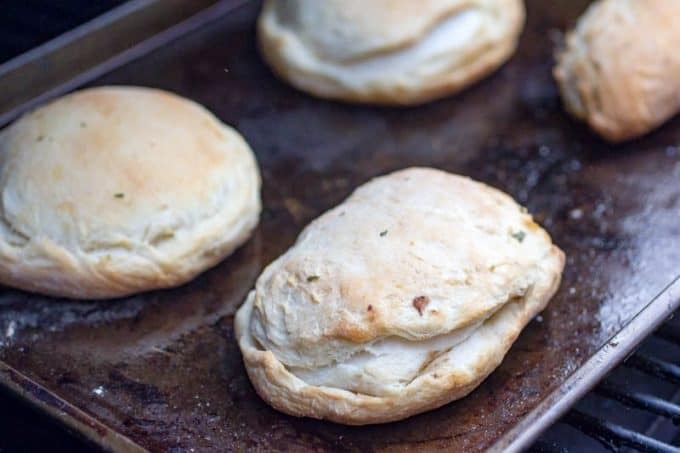 If you don’t have a Traeger you can use any pellet grill, or even make these biscuit pockets in the oven. Just take your filling mixture and fill a refrigerated biscuit dough. 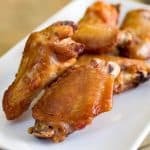 Fold it over so that it is sealed all around, and then toss on a sheet pan to grill. 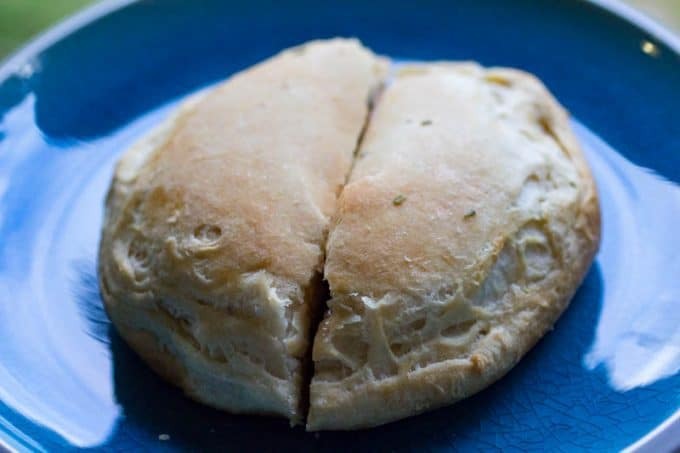 These biscuit pockets have a light glaze as well for a stunning presentation. Shape The Biscuits | Because you are using canned biscuits, they will be pretty compact. Make sure to stretch out or roll the dough slightly, so you have a more significant area to work with. Try to keep all the biscuits the same size so they will cook evenly on the grill. Don’t Overfill | Filling the biscuits is something you need to watch. Don’t overfill with the meat mixture or you will find it to be hard to seal up your biscuits. You will fill only one side and then fold the other portion of the biscuit over the top, and then press and seal the edges. If you have too much meat mixture, you will struggle to get your pockets to seal. 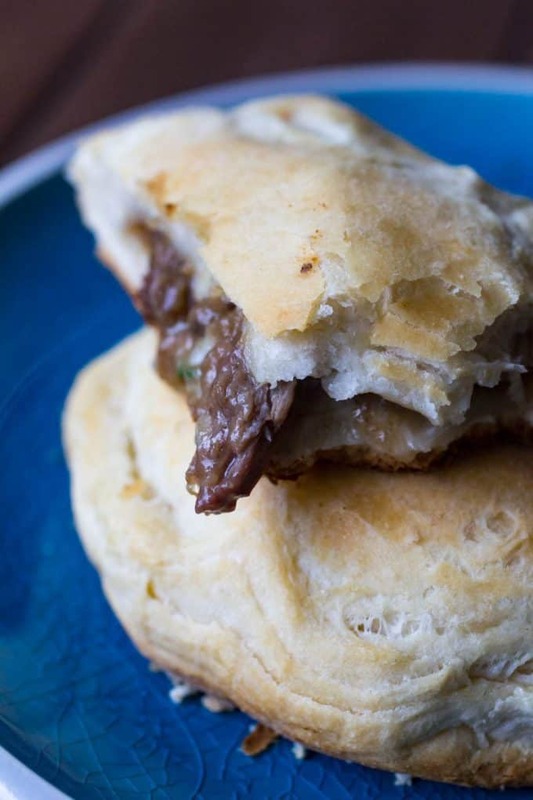 Watch When Cooking | Lastly, watch as you grill your beef biscuit pockets. You don’t want the biscuits to overcook, or it will end up dry. 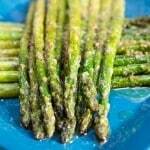 Grilled Asparagus | Whip up some perfectly grilled asparagus while you cook up your pockets. A perfect side to work in some more veggies into your meal. Panko Breaded Onion Rings | I always love homemade onion rings. These are fried in a panko breading. Greek Pasta Salad | This homemade dressing is amazing on a green salad. Whether you do an iceberg wedge or even a classic side salad, this dressing will be a perfect pair for your pockets. What is your favorite way to use up leftover roast or steak? 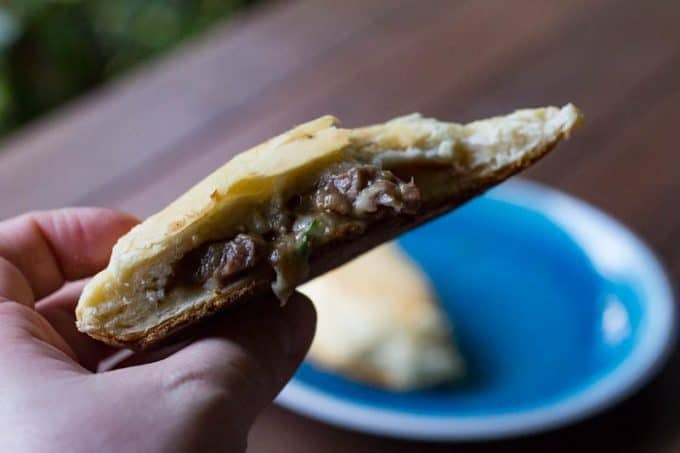 These easy beef and mushroom biscuit pockets use leftover roast beef or steak and turn it into a delicious, portable meal that your whole family will love! 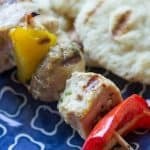 Make this in the oven if you don't want to fire up the wood-pellet grill! Turn your grill (or oven) up to 375°, according to the manufacturer's instructions. Melt the butter in a medium saute pan and add the mushrooms over medium heat. Cook for 7-8 minutes. Add in the cubed steak or roast, the onion powder, garlic powder, and salt. 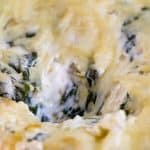 If necessary, add an additional tablespoon or two of butter. Reduce heat to medium-low, and saute for 3-4 minutes, or until heated through. Open up your biscuit dough, and flatten it enough to expand the diameter of the dough until it is almost doubled in size. Flatten all of the biscuits in the same way. For large pockets, use one on the bottom and one on the top. For smaller pockets, use one dough and fold over before sealing. Divide the filling between all of the pockets, and top with swiss cheese. Place parchment paper on a cookie sheet, and place the dough pockets on it. Brush with the melted butter. 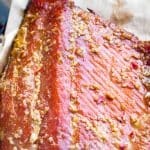 Place the sheet on your grill or oven, and close the lid. Grill/bake for 15-20 minutes, or until they are golden brown and the dough is fully cooked.